We always have a range of second-hand and refurbished computers available. As we hate to see perfectly good equipment added to land-fill, we try do do our bit for the environment by recycling and refurbishing old equipment. One person's rubbish, with a bit of tender loving service, can become perfectly functional and usable to someone else. The following list can change depending upon stock levels, so please check back regularly if you are after something specific. Please also feel free to contact us to see if we can obtain a specific item for you. 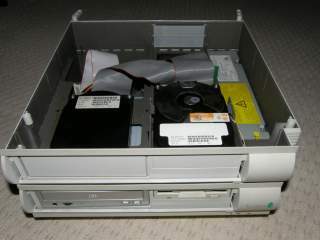 The Acorn range of personal computers were superbly efficient and popular computers of the 1990s. 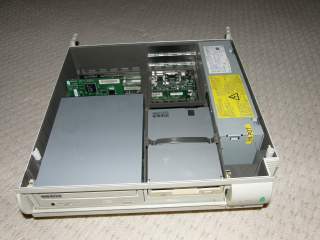 Running the RISC OS (RISC Operating System) they are more efficient, reliable and productive than equivalent Windows or Mac OS systems. RISC OS is still being actively developed, so RISC OS based computers will give you many years of reliable service. 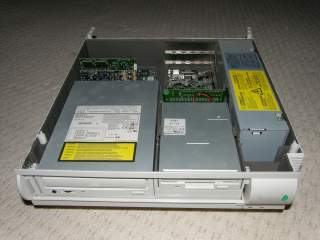 RISC OS computers are ARM (Acorn Risc Machine) based, which means they take less power and are more environmentally friendly than other computer systems. They also last much longer - a ten year old RISC OS machine will still give a modern Windows PC a run for its money! The top covers have been removed for the purposes of taking the photos below. All the information you need about serial ports.